We've been digging Toshiba's line of Excite tablets, and the newest member of the family has a lot to offer. Not only does it appear to measure up to its competition on specs, but this ten-inch tablet only costs $350. Color us intrigued (which is kind of a brownish red). 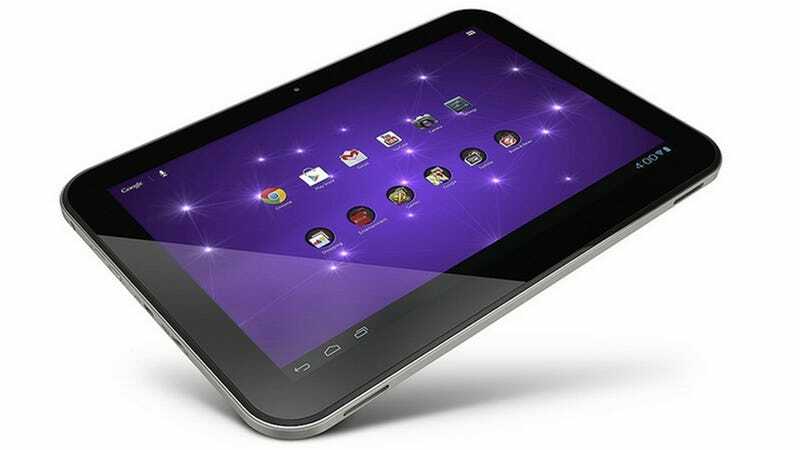 The Excite 10 SE has a 10.1-inch AutoBrite HD screen (1280x800), and a 1.5GHz quad-core Nvidia Tegra 3 processor. It has stereo speakers with SRS Premium Voice Pro (though they're on the bottom of the device, which could lead to lap-muffling, if you're not careful), dual cameras, 16GB of built in storage, and yes, a micro SD card slot for expanding the built-in storage for all you content/app hoarders out there.